Camille Callison is Tsesk iye (Crow) Clan of the Tahltan Nation and the Indigenous Services Librarian/Liaison Librarian for Anthropology, Native Studies & Social Work at the University of Manitoba She holds a B.A. Anthropology, M.L.I.S. First Nations Concentration and is currently a PhD student in Anthropology. Camille is the Vice-Chair and Indigenous Representative of the Canadian Federation of Library Associations/Fédération canadienne des associations de bibliothèques (CFLA-FCAB) where she is Chair of the Indigenous Matters Committee and a Copyright Committee member. 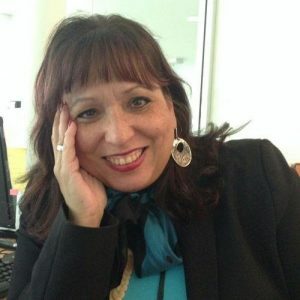 She is a member of IFLA Indigenous Matters Standing Committee, the National Film Board (NFB) Indigenous Advisory Board and the Canadian Commission for UNESCO Sector Commission on Culture, Communications & Information and Vice-Chair, Canada Memory of the World Committee. Research Round-Up: What Do You Need to Know?